There are times when it is necessary or desired to remove a Scalp Micropigmentation (SMP) treatment. 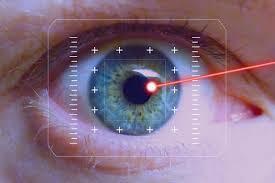 Modern laser treatment is both quick and effective but there are a few caveats. We take closer look. If you are considering SMP as the solution for your own hair loss then you might well be wondering why removal could be required. There are three main reasons. The first is, sad to say, the presence of sub standard clinics and practitioners – lacking experience and or the correct equipment to do the job perfectly. Bear in mind that SMP has been around for over a decade now and you will appreciate that for some clients, although happy with their SMP for many years, eventually decide to embrace their hair loss – for them the choice is to just allow the treatment to slowly fade naturally, though this can take a long time, or accelerate things with a visit to a laser clinic. Finally, there is a set of SMP clients who, after a while, decide they would prefer a slightly different hairline. This is easily addressed with a very short laser treatment followed by a similarly short SMP session. 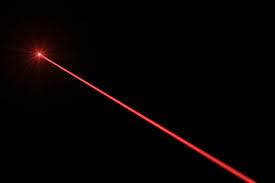 Laser is in fact an acronym, it stands for Light Amplification by Stimulated Emission of Radiation. This immediately marks it out as the modern application of science making a substantive difference to our lives. 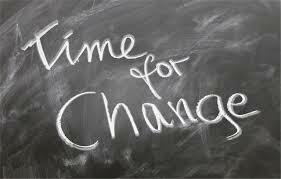 Developed in the 1950’s as a communication system their wider potential was soon recognised. White light is, as we all know, a combination of lots of different wavelengths of light. Essentially a laser adds enormous amounts of energy to that light, regulating all those wavelengths into one extremely powerful wavelength. The applications have been stunning in their range. It will be no surprise that removing tattoo pigment was not on the immediate list of applications for laser. They made their mark in communications, which would include the technology that gave us CD players. They were also used in cutting and drilling… cutting anything from metal to the cornea of an eyeball in laser eye surgery. Laser removes tattoo or SMP pigment in the same way, by penetrating the skin with an appropriate wavelength of light. The wavelength, or colour, of the laser needs to be aligned to the colour of the pigment being removed as it is important the pigment absorbs as much of the light as possible. It will then break down the molecules of the pigment into their simplest form. This in turn allows the body’s own immune system to carry away these smaller molecules. For a traditional tattoo this can mean several sessions using different wavelengths. Because the process relies on the immune system of the client to do the legwork there is also a period of time that needs to pass during which the tattoo will fade, eventually (hopefully) to nothing. Removing SMP pigment is far more straightforward than regular tattoos… where large metallic molecules are regularly used to produce the colours needed for the art. SMP only uses very dark pigments, the darker the pigment the more light is absorbed so laser is extremely effective for it’s removal. Add to that the fact that any reputable clinic will only use monomeric compounds, that contain only very simple molecules, which the immune system, even a weak one, can deal with easily and you can be confident that removal will be swift and effective. When we say swift, each session should take no more than between 10 and 20 minutes according to how much work is required.